To mark the fifth anniversary of Operation Cast Lead, an Israeli military campaign against the Gaza Strip, a Palestinian women’s organization has published a book with details of the deaths of children and women in 89 Palestinian families. 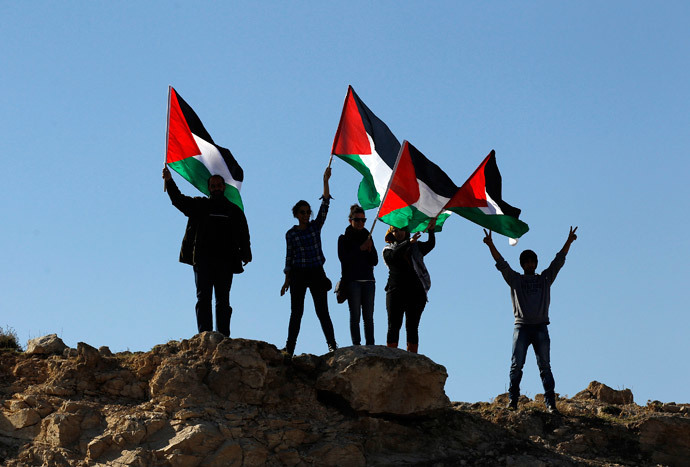 Much of the credit for the publication goes to Ibtisam Saymah, a fragile mother of seven and a member of the human rights group Women of Palestine. She survived the bombings, collected dozens of stories and wrote a book entitled The Zionist Targeting of Palestinian Families during the 2009 Al-Furqan War. She proved stronger than cancer, which she contracted when she tumbled around fuming rubble, inhaling vapors of white phosphorus and depleted uranium. “One day after the end of the war, we [Women for Palestine] decided to make a documentary film about the targeting of the Palestinian families. When we started interviewing the families, we noticed that the number of the targeted families and martyrs was very big; therefore, one film was not enough to make the world aware of the Palestinian suffering. So I thought it is better to document the story of each family and to document each moment in the war in a book,” Saymah told me the book came about. The result of 11 months of hard work, this is the first report in English that details the circumstances, the names and ages of babies, children, teenagers, women and seniors from the 89 families. This is the first documentary evidence of the 22-day massacre that began at Christmastime, on December 27, 2008. On the first day of the war Manal Ahmed Daban, 37, lost two of her daughters, Hanan, 15, and Jasmin, 16, who were returning home from school. On Day 2 five children from the Ba’alusha family were killed. A rocket hit a mosque in a refugee camp in Jabalia, killing Tahreer, 18, Ikram, 15, Samar, 13, Dina, 8, and Jawaher, 4. Their father Anwar, 38, was wounded in the head, their mother Samira, 35, was wounded in the face, their daughter Samah, 17, and Iman, 10, were wounded in the legs, and only Baraa, who had barely turned one month old, was safe and sound. On January 1, 2009, 16 members of the Rayan family were killed in an air raid at 2:40pm that hit their home near the mosque in the refugee camp in Jabalia. Eleven of the 16 were children aged between one and 16. The rest were four of their mothers and their father, Nizar Rayan, the only person targeted by Israel. There are now only his mother and his 22-year-old brother. 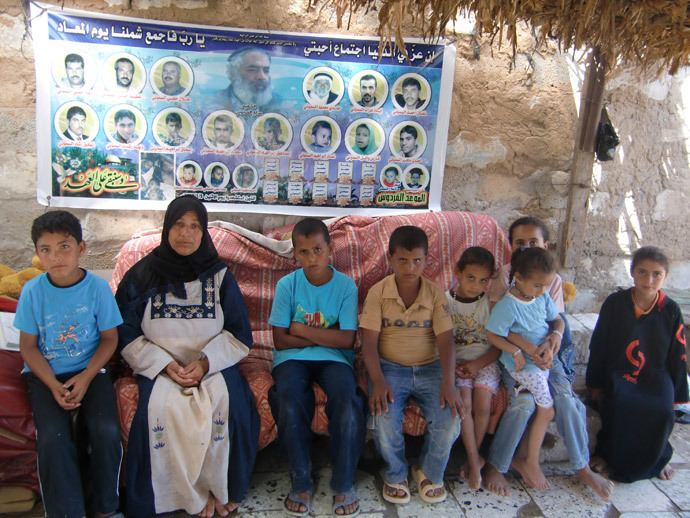 On January 3, 29 members of the Samuni family were shot dead by Israeli soldiers in the Zaituna community. The Samuni family has been cooperating with the Israeli settlers for three generations and none of them were part of any parties or groups. They were killed at close range in their home and in the yard, they were killed when they attempted to escape and carry away the wounded, they were ordered to undress and forced into rooms and yards where they were shot dead. They were killed when they came out with a white flag. Then their houses were shelled and fired at by tanks to cover up the traces of the atrocities. Among those dead was a baby who had not even turned one, a two-year-old, a five-year-old, two six-year-olds, a nine-year-old, an 11-year-old, two 13-year-olds, a 14-year-old and an 80-year-old senior. This book should be an incredible eye-opener, both to Americans who don’t object to their taxes being sent as aid to Israel, and to Israel’s population, which is kept in dark about what their army does for the sake of their ‘security’. Paradoxically, the Israeli people, taking pride in being the ‘only democracy in the Middle East’, are kept ignorant of their army’s moves. The Israeli have put up with the fact that most of the information is classified, media debates are banned and everyone who is not enthusiastic about it is called an anti-Semite. As a result, in a display of totalitarian-driven thinking, the Israelis support war crimes by their own army, back collective punishment for the Palestinians and approve mass killings of children. The massacre in 2008 was approved of by 94 percent of Israeli non-Arab citizens. According to the Israeli propaganda, the casualties among children, seniors and women is something invented by the Palestinians while precision strikes by the Israeli Defense Forces only target terrorists. Today this book reveals the names and circumstances of a campaign where Israel was ‘threatened’ by the children, women and seniors of 89 Palestinian families. Ibtisam Saymah says she started to work on the book the day after the air raids were over. That proved to be a challenge for her team. “It was difficult and dangerous to go to the borderline. The Israeli soldiers were very close to us. They saw us and our equipment (cameras and headsets). They were targeting the journalists in that war to prevent them from spreading the truth to the outside world. This is why there were many journalist martyrs. When we were filming and interviewing the families, the Israeli warplanes were hovering over our heads. However, we were not scared because we are no more important than those who were martyred on this land,” Saymah says. The Arab-language version was published 2009 on the first anniversary of the tragic events. 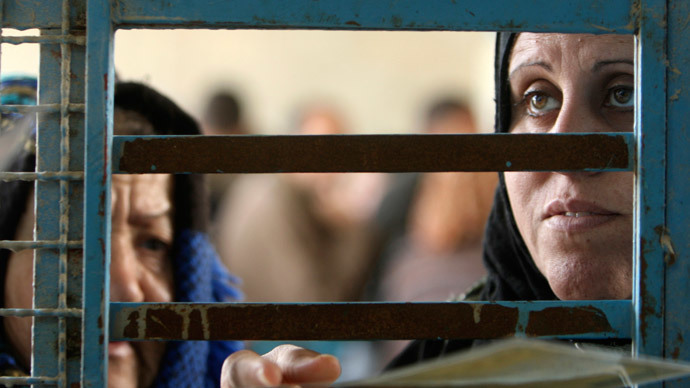 In the spring of 2010, when I managed to get inside the Gaza Strip living under an Israeli blockade, it was the first book on the life of Palestinians. The ruins of war were around me and it was hard to believe that anyone would be able to do such a painstaking job as putting together all the bits and pieces into one heart-rending story. I was lucky then to meet its author, Dr Ibtisam Saymah, a large-than-life character. She presented this book to me and told me it was crucial to have it translated into English, because the world was unaware of that massacre, blockade, or bombings. To be honest, the very idea sounded highly unlikely – how can you translate a book in a place lacking basic water, power or fuel supplies, suffering from a shortage of drugs, food and, generally, any basic necessities. Teaming up with a photographer, a journalist and a taxi driver, they set out on a journey from one devastated Gaza town to another, defying the constant threat coming from Israeli fighters and drones. House by house, tent by tent, hospital by hospital, they went round the war-torn region to jot down stories and film whatever they could on video. If you’ve never been in Gaza Strip, it would be hard for you to understand that what we consider to be routine for a journalist back home, is heroism there. Take any basic stuff, like notepads. Made of thick grey paper, manually cut and bound, notepads in Gaza look like they came from the 19th century. The materials to produce them have been smuggled through the tunnels because Israel considers them to be a security threat. The same applies to batteries, cameras, video, pens, pencils, gasoline, power and water. She says, they got used to the siege, but since the Egyptian army destroyed the tunnels that were providing Gaza with medicine and food it became much harder. Ibtisam and her team took a great effort to record the names of those who suffered from the bombings. This is not as simple as it might seem since Muslim women often keep their maiden names. Many have turned up to be treated in different hospitals. Some were lucky to be transported abroad for treatment. Some hid in their relatives’ homes. Amid ruins and blockade, it then took them several months to analyze the data and embark on putting together a catalog of martyrs to their nation. 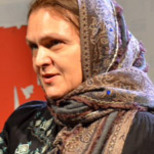 In addition to her seven children, Ibtisam has a husband and parents. It seems unbelievable, but she showed me their photos. It was in the middle of her painstaking work when she was diagnosed with laryngeal cancer. Doctors in Gaza have long warned that depleted uranium, white phosphorus and other forms of Israeli weaponry are the primary cause of monstrous diseases. But there is no equipment in Gaza to diagnose or treat them. Luckily, Ibtisam was taken to a foreign clinic and saved. Ibtisam never parted with her laptop. After each course of chemotherapy she plugged it in to resume her work. She is now finalizing her second book on the November war of 2012 and is doing a study on what it is like to be a Palestinian woman, chronicling their stories since 1948.